Sark Enterprises - Wholesaler of service tax service, tax consultant service & central excise service since 1995 in Pune, Maharashtra. We offer different kind of services are liable to pay Service Tax to the Govt. of India. Through our hands on experience and knowlegde, we are able to guide and offer comprehensive consultancy services to our clients in the areas of Service Tax. Services offered are in the nature of Strategic Consulting and Advisory, Compliance Support, Litigation support and Representations and Trade Facilitation. After all, it is your business and you need to know that you are submitting correct amount of money to the government from your hard earned profits. 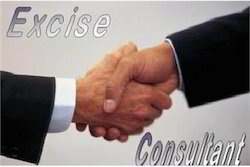 We also provide Tax consultancy to our clients on starting their own business. Our service tax consultants provide you latest updates and inputs about the statutory anti-fraud and money laundering legislations being enacted or modified by the central, federal, state or local governments from time to time. These inputs will help you a lot in keeping yourself vigilant and will also save you from frauds. 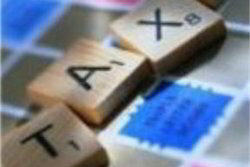 All the manufacturers of goods have to pay central excise duty & this indirect tax is administered by the Central Govt. under the authority of Entry 84 of the Union List 1 under 7th Schedule read with Articles 268 to 281 of the Constitution of India.